Fuse Open | Create better native apps for iOS and Android with a new breed of development tools. An open-source cross-platform mobile app development tool suite, supporting building Android and iOS applications. 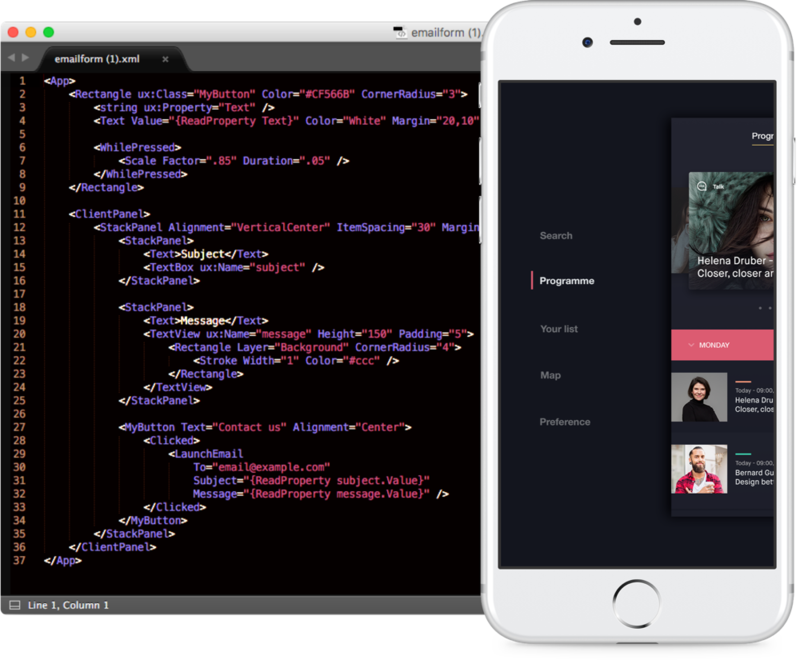 Build interfaces with UX Markup: A concise, declarative XML-based language for creating rich user experiences backed by a world class layout engine and GPU-accelerated visuals. UX markup has been designed to be highly expressive, intuitive to learn and very difficult to break. 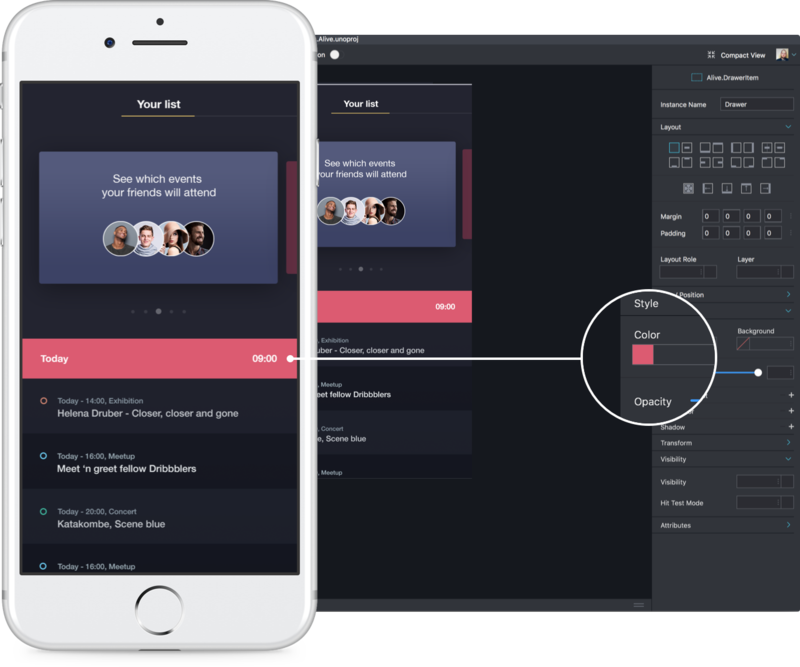 Fuse is designed to offer a playful, real-time workflow where the project can be modified as it is running. Using a local zero-config development server, any changes committed to UX, script or assets causes near instant updates in the running application. With Fuse a whole new world of collaboration opens up. Either working together with another developer in the office or showing off your app to a client on the other side of the Atlantic – your always on the same page. With UX markup, motion is a first-class citizen and nearly every property is animatable. 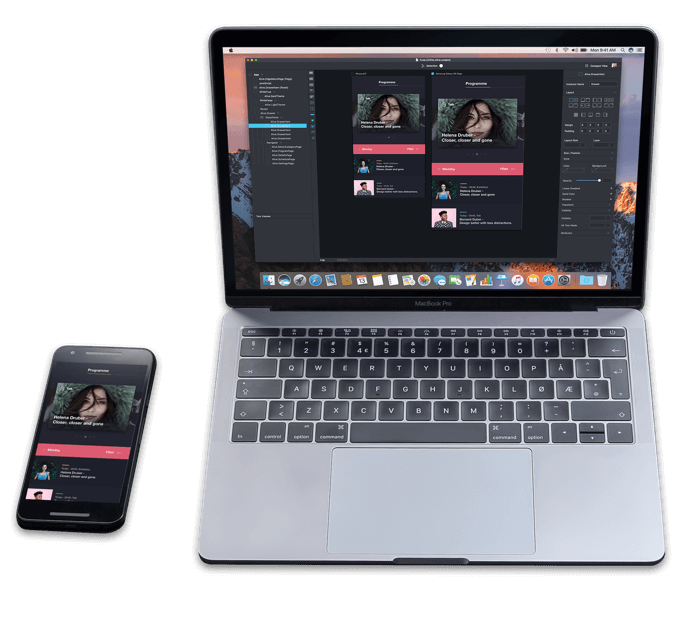 Using simple expressions you can quickly transition from a static layout into wiring its properties together to form intricate responsive animations. The difference between prototype and final production code could just be a compiler flag away. UX markup compiles to high performance C++ or .NET bytecode. For Android and iOS, Fuse projects compile to Android Studio and Xcode projects that can be debugged and extended any way you wish, and play nice with the native debugging and profiling features. In Fuse, design and development should become one integrated process. Assets such as fonts, images, videos and sound can be created and updated from any popular design tool and will live-reload just like any source code file. Some say, "learn once, write anywhere". We say: "write once, deploy everywhere". Fuse leverages from OpenGL to achieve a blazingly fast cross-platform solution.